Macedonian Prime Minister Zoran Zaev has stated that he has no information on Russian influences in Macedonia, but stressed that Moscow has clearly stated that it is against Macedonia's NATO membership, but not in the European Union. "There is no evidence of any Russian influence. The Russian Federation is a friend of Macedonia and it has nothing against Macedonia's EU integration but is opposed to NATO membership. That's what they say very clearly. We are trying to clarify that there is no alternative to us, in addition to full integration into NATO and the EU. We want to build friendships with all countries, including the Russian Federation. We remain in this determination," stated Prime Minister Zaev. He made these comments at an international conference organized by the EU regarding media freedom in the region. The head of the government said he was familiar with the information on networks of different social profiles that spread fake news across traditional social media, but that he will not identify states that spread false news. Zaev reiterated the stand for supporting media self-regulation. "Misuse of misinformation is very easily reflected in security and does not represent freedom of expression. 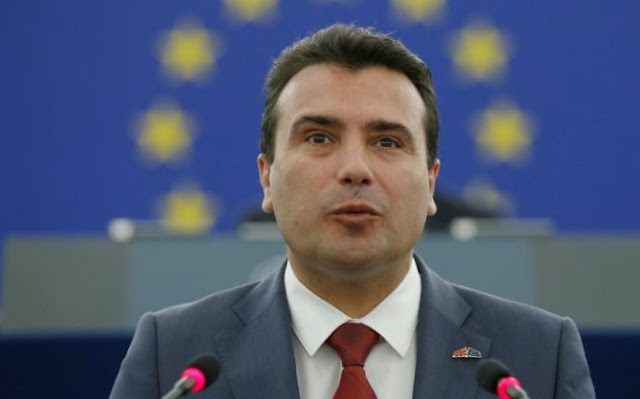 We have also seen in Macedonia and the region how much damage can cause propaganda by inciting violence, so as a government we call for a constructive atmosphere," Zaev said, reports rel. The conference was attended by EU Enlargement Commissioner and Good Neighbor, Johannes Hahn, and media representatives from all the countries of the region.